Customer satisfaction is the basis of a successful business; without satisfied customers, it’s virtually impossible for any company to succeed. Using tools to measure customer satisfaction is a good way to tell what strategies may or may not be working in your marketing and customer service areas. Customer service is a huge source that contributes to overall customer satisfaction; regardless of how great your service or product may be, the way that your customer service team handles an issue with a client can influence their attitude towards your company. 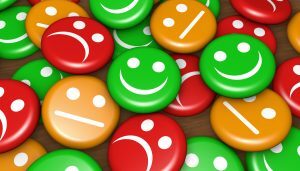 Customer satisfaction in terms of your call center is important, but how can you tell when consumers are happy with your service? There are actually certain methods you can use to measure customer satisfaction, such as surveys, social media, and simply observing consumer behaviour. Keep on reading to find out about ways to measure your customers’ satisfaction. Simply observing the behavior of your customers is a great way to gather how satisfied they are with your company. Analyzing things like whether they refer friends and family or make repeat purchases can tell you a lot about how happy they are with your brand. Do they respond to customer feedback surveys? Are their comments often positive? Do they frequently make upgrades to their products or services? If customers are happy with your company, they’ll keep on coming back and will bring their friends and family with them. They’ll also be more likely to engage with your brand by participating in surveys and won’t be reluctant to spend a little extra when it comes to adding things to their purchase. Be sure to take note of these behavioral patterns to assess their attitude. It can be tough to create loyal customers, especially when there are a number of competitors in your industry. Creating the best service or product is no longer enough to ensure you stay on top—you need to have expectational customer service to back it up. In order to create loyal customers, the main thing you’ll need to focus on is letting them know that you value their business. Do things to show your appreciation, like offering perks to those who have stayed with your company. Looking at how many loyal customers you’ve created throughout the years is another great way to analyze customer satisfaction rates. If you have a high rate of customer retention, it’s a good sign that your customers are satisfied. If they were unhappy with your service, there`s not much that would prevent them from switching brands of providers. If you notice you don`t have many loyal customers, it could be a sign that competitors are offering a better deal or have better customer service habits. Asking customers to complete feedback surveys is another way to gauge their satisfaction. Looking at how many people are willing to complete the survey is a valuable source of information, but make sure to take all responses into account since at least some of those participants likely responded to voice negative opinions. You can conduct feedback surveys after a customer calls your customer service line or shortly after they purchase your product of service. These are optimum times to conduct surveys since the interaction with your company will still be fresh in their mind. This way, you can find out what’s working for your business and identify areas that need improvement. Being active on social media is only the first part of using social media to your fullest advantage. It’s important to post frequent updates and engage your audience with fun pictures and contests, but you also need to make sure that your customer support team pays close attention to the feedback received on these platforms. Consumers, especially Millennials, are likely to voice their opinion on social media about an item or service. Closely monitoring these posts will help resolve customer concerns and show other prospective customers that your company is proactive, and cares about making sure customers are always satisfied. This will allow you to communicate with consumers and attract new customers at the same time. Make it a habit to communicate with your call center staff and get their feedback on what they think about customer satisfaction rates. They likely know more about customer needs than you since they speak with them on a daily basis. It’s fair to assume they’ve heard customer complaints since consumers often contact customer support centers to resolve an issue. Use their feedback to make revisions to your businesses practices that would make your customers happier. Revise training manuals, adjust call scripts, and do whatever else is necessary to ensure your customers are happy with your call center employees—after all, they have a huge impact on how happy they are with your company. Many brands consider first-contact resolution (FCR) a critical metric measure in their call centers. Why? When call center agents are able to resolve customer issues in one call, customers will leave satisfied. No one enjoys having to call a support line for help with a product or service, so the less time they spend trying to fix it, the happier they’ll be. They won’t waste time calling multiple times, which will help them build confidence in your brand. Like we’ve mentioned, customer service is a huge part ensuring satisfaction. Showing that you value their time will help create loyal customers, who are bound to refer friends and family to your company. It can be a constant worry, thinking about the satisfaction of your customers. How can you relieve this persistent stress? It’s simple: call 3C Contact Services. Our highly trained and experienced team of customer service representative is able to field calls from your customers and resolve their issues with ease. Whether you’re in need of customer retention, technical help desk, or live chat services, 3C Contact Services has the customer support solution for you. When you use our services you’ll never have to worry about how to measure customer satisfaction— your customers will be served efficiently and effectively every time. Contact us today to take advantage of our exceptional services today in order to grow your business. How to Deliver Good Customer Service?